Morning Breakfast at hotel, Meet your guide at your hotel in the morning , This Morning depart to visit the China’s richest historic area, amazing Museum of the Terra Cotta Warriors-----which is very famous for the great underground army of the First Emperor of China, buried together with him 2200 years ago and discovered only in 1974.It is the most significant archeological excavations of the 20th century. 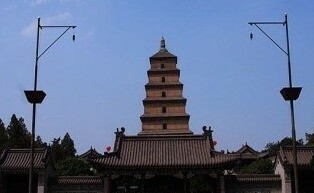 well-preserved ancient building and a holy place for Buddhists. Continue to visit the Grand Mosque,the Mosque has more than 1200 years history, it is one of the four grand Islamic mosques in China.Drop-off service at your hotel and end today trip.